The ultimate family vacation has grown exponentially in terms of options and accommodations — and dude ranch vacations are no exception. In fact, there are very few resorts that emulate the offerings of the dude ranch community. “Activity options have skyrocketed. From ropes courses and ziplines to rock climbing, cooking classes, and more, some ranches now have more than 100 activities,” says Colleen Hudson, Executive Director of The Dude Ranchers’ Association. 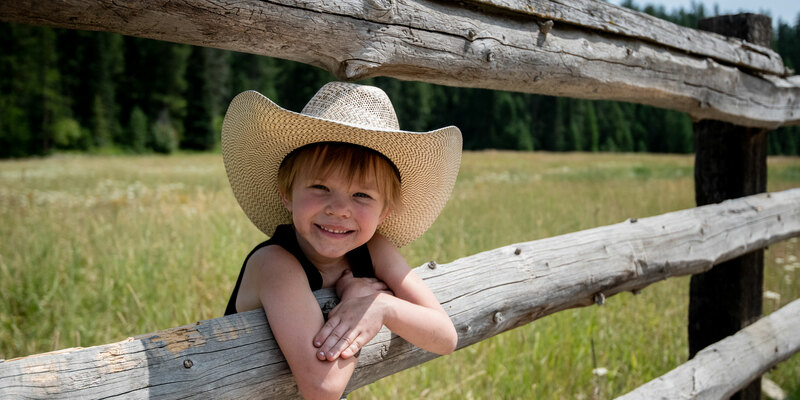 The diversity and abundance of activities for families, along with stunning resort locations near national parks and public lands, solidify the Western dude ranch as one of the best family vacation experiences on the planet. These are the best of the best. 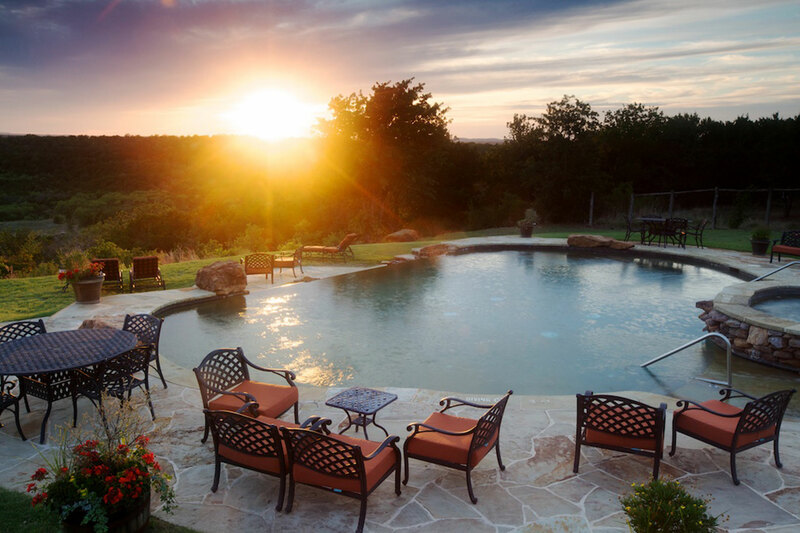 The Home Ranch does many things exceptionally well, including innovative cuisine and cocktails, luxury accommodations and extraordinary programming. Nestled in Clark, Colorado, a 30-minute drive from Steamboat Springs, the ranch is one of the few Rocky Mountain dude ranches that offers four-season activities and family options for children ages 6 and over. Bonus: All meals, lodging, local transportation, fishing gear, guide services, and on-ranch activities and adventures are included in the price of your stay. We love the focus on disconnecting from technology at the Rainbow Trout Ranch. None of the 16 log cabins onsite offer TVs, and the Wi-Fi isn’t strong — and that’s on purpose. They do offer cozy fireplaces, though, and some of the cabins can sleep up to eight guests. 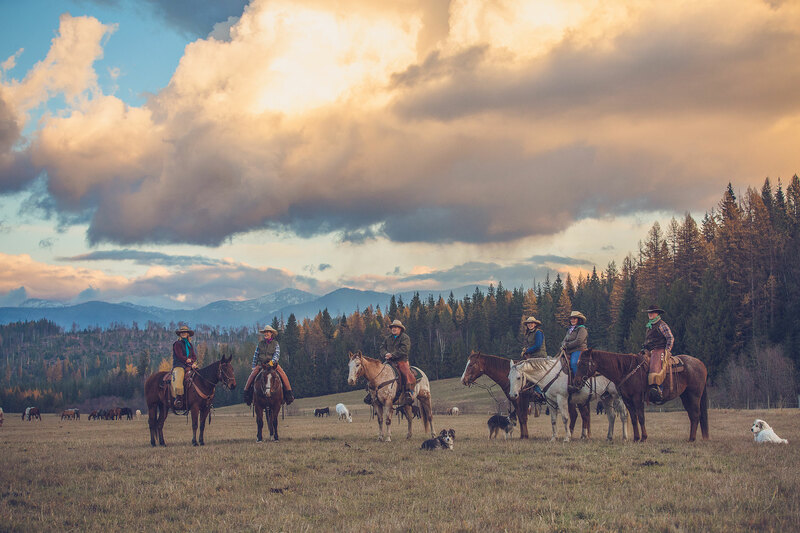 The ranch is nestled on 600 acres at 9,000 feet and surrounded by national forest lands, providing abundant terrain for riding and spectacular views. Fly-fishers enjoy the ranch’s private 1.5-mile stretch of the Conejos River, ripe with supreme-size rainbow trout. Aside from delicious meals, accommodations, and onsite activities galore, a weekly whitewater rafting trip is included in the cost of your stay. White Stallion is one of the two largest dude ranches in the nation; yet it remains family-owned and family-focused. The True family actually has a trifecta of ranches under their Arizona chaps (White Stallion, Tombstone Monument and Ranch de la Osa). But it’s their home base and incredible Tucson property that is one of the best family dude ranches in the world! 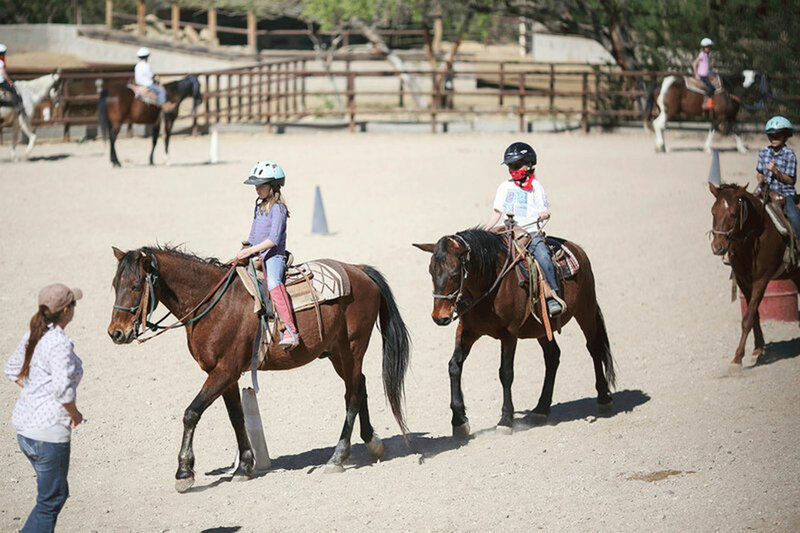 The horse program is stellar, with various riding options, educational opportunities, family-specific rides, a weekly ranch rodeo and more. The resort also does a great job with nightly entertainment, with options such as astronomy classes with telescopes, country and western line dancing and lessons, and water color lessons with the resident artist, Ute Vaughn. And if you like shopping, you’ll be glad to know this dude ranch has one of the largest onsite gift shops of any dude ranch in the nation. If your family wants an authentic Western experience, complete with Hollywood-esque desert moonscapes, rolling hills of cacti with Southwest accommodations, fabulous cuisine, and an even better atmosphere, Circle Z Ranch is for you. Open late-October through early-May each year, Circle Z is the oldest continually operating guest ranch in the state of Arizona. Originally a sheep ranch, Circle Z was transformed into a dude ranch in the 1920s. Numerous generations of families have connected here ever since. Movie buffs — study up on “Broken Lance” with Spencer Tracy, “Monte Walsh” with Lee Marvin, “El Dorado” with John Wayne, and the final episode of “Gunsmoke” — all were filmed on this property. This dude ranch is not for the wee ones; the focus is riding and cattle work. Bonanza Creek has a maximum allowance of 12 guests at a time, but usually averages around eight people — making this one of the most intimate guest dude ranches in the nation. There are 40 guest horses on the ranch, who welcome families into their lifestyle and incredible landscape. Guests are matched with their horses for the half-week to week-long stay. Each stay includes lodging, three meals a day, horseback riding, herding cattle, team penning, hiking, private lake fishing, wildlife watching, a breakfast ride and cookout, campfires, and wagon rides with a team of horses. 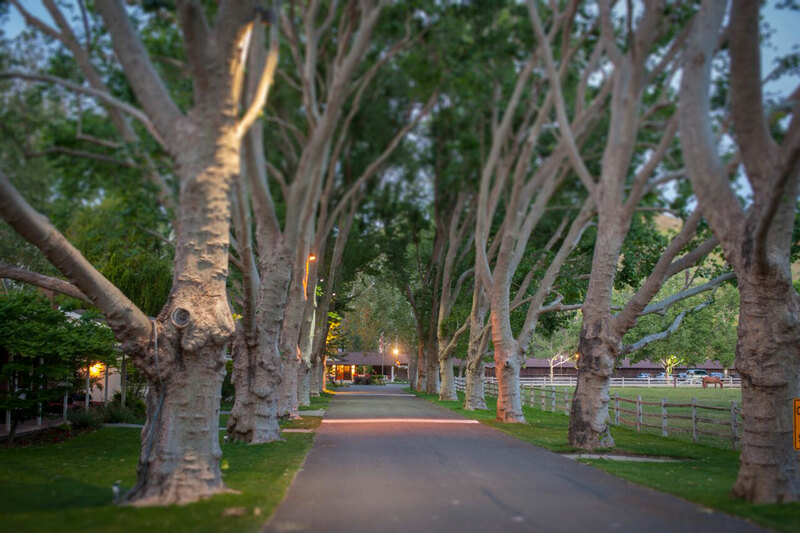 Easily accessible from Santa Barbara, California, Alisal Guest Ranch and Resort is a family-owned working dude ranch. 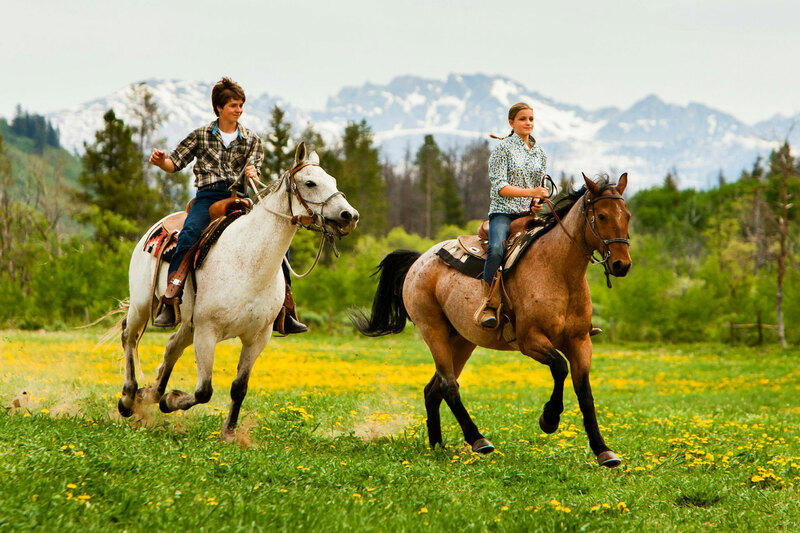 The 10,500-acre ranch is consistently awarded as best luxury dude ranch for numerous reasons. The upscale ranch offers 73 cottages, all with working, wood burning fireplaces, and all without phones or televisions. Horseback riders can access 50-plus miles of riding trails; a 100-acre, spring-fed lake; two 18-hole championship golf courses; tennis courts; a pool; and spa. Many dude ranches in colder climates close for the season come late autumn. And while Western Pleasure Guest Ranch in northern Idaho certainly welcomes visitors year-round, it’s their off-season that’s a standout. Families will be charmed by the four hand-hewn log cabins at the ranch, each one authentically decorated and super cozy. Or, guests can choose Grandma or Grandpa’s room on the main level of the lodge, or a suite on the second level. The ranch is located on 1,100 acres in the Selkirk and Cabinet Mountain ranges. The spectacular and changing scenery of the seasons varies the activities — enjoy horseback rides in the fall (ages 8 and up), fat bike rides in the winter, and skiing and snowmobiling in the spring! 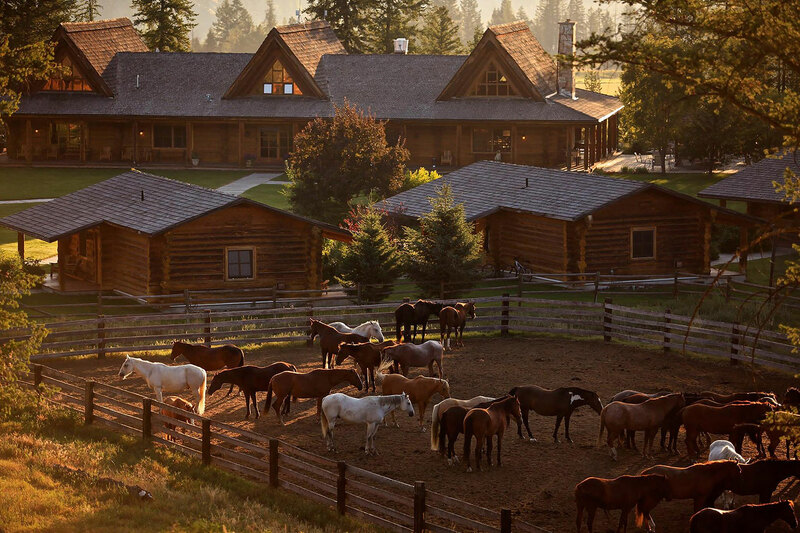 What’s also unique is the cabins can be booked without meals — a rarity at dude ranches. Come summer, it’s the child in all of us who yearns to be by water. At Paradise Guest Ranch, families can participate in an extensive fly-fishing program – either on French Creek or one of the stocked, nearby trout ponds. There’s also an onsite swimming pool. The Bar W Guest Ranch, outside of Glacier National Park, recognizes the needs of millennial families. 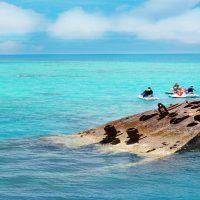 Their traditional summer offerings have exploded in recent years, with new activities and adventures for all ages. 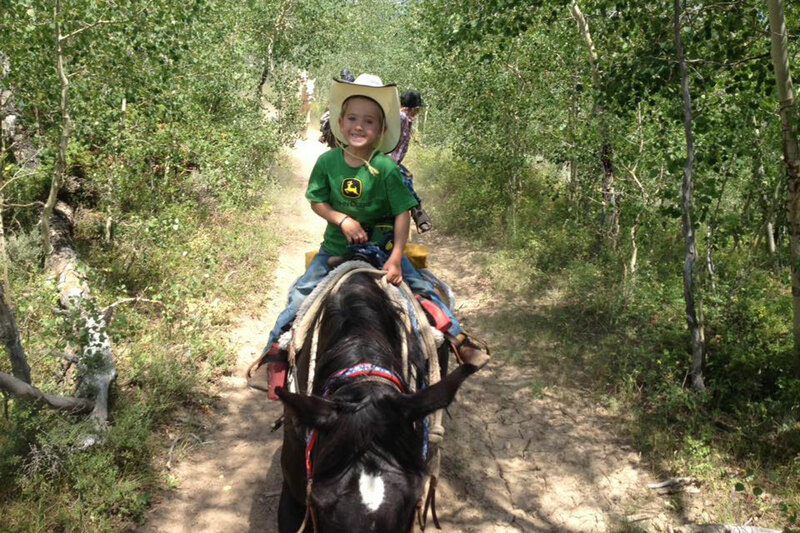 Trail rides, wagon rides and a cultural kids’ program keep families busy on the ranch. 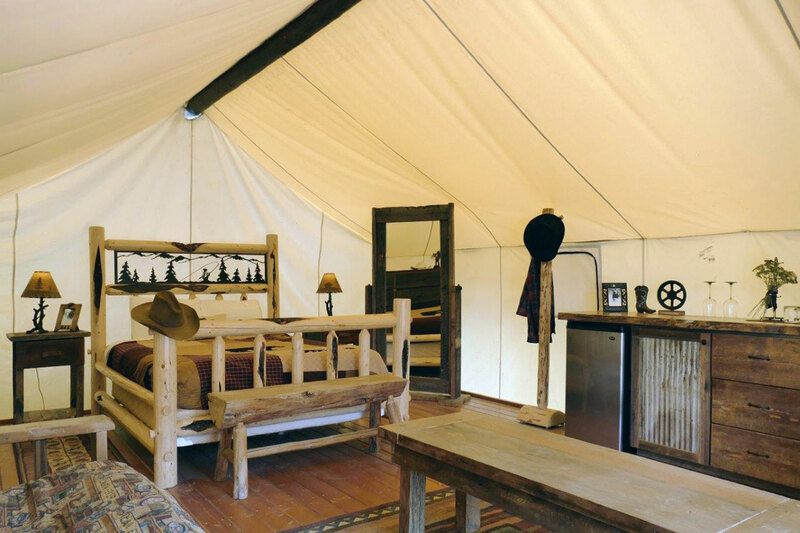 The resort is also popular for its glamping in canvas tents with wood floors and luxurious bedding. And the resort’s location in Whitefish means you’re close to cute shops and kid-friendly restaurants and breweries. 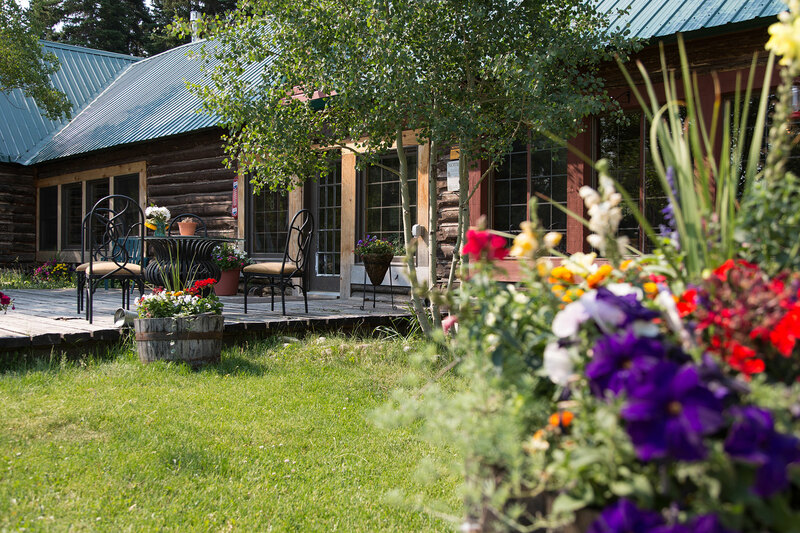 The Medicine Bow Lodge Adventure Guest Ranch is nestled into the Snowy Range, about 20 miles from Saratoga, Wyoming, and two hours from Steamboat Springs, Colorado. Operating since 1917, the resort was most recently purchased by new owners in 2002, who truly enhanced the horsemanship of the ranch and riding possibilities. The maximum guest count is 15. 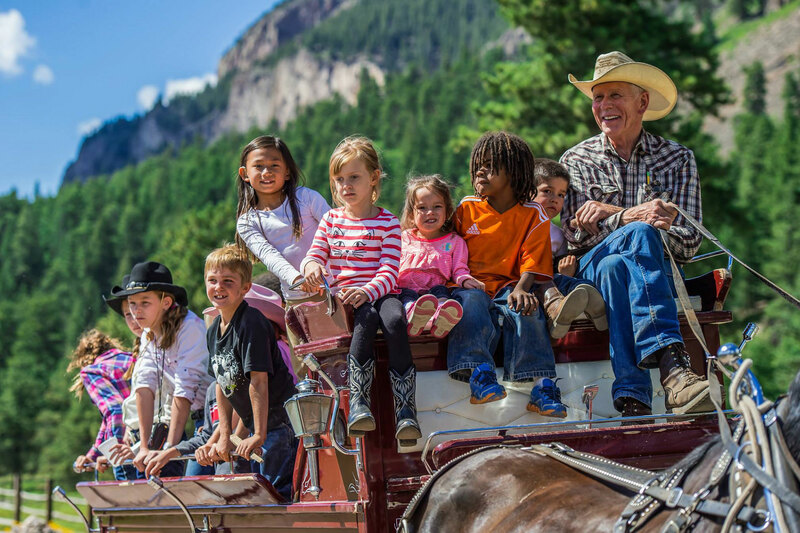 Families will especially love the summer program, with all-day rides, breakfast rides, overnight pack trips, sunset trip rides, fish and ride scenic trips (one of the only ones in the nation!) and other options. Guests can also participate in horse grooming and feeding, or just watch or photograph. Featuring an 8,000-square-foot, rustic log remodeled to include a full-service spa, home theatre, library, pool and fine dining, Triangle C Dude Ranch provides a home-away-from-home while enjoying the ranch. But, forget the luxury and enjoy the ranch’s Pack Trips that provide a true sense of the working cattle in the Rockies. Following wranglers on trails on horseback, days end at campsites where you’ll gather around the fire for dinner. 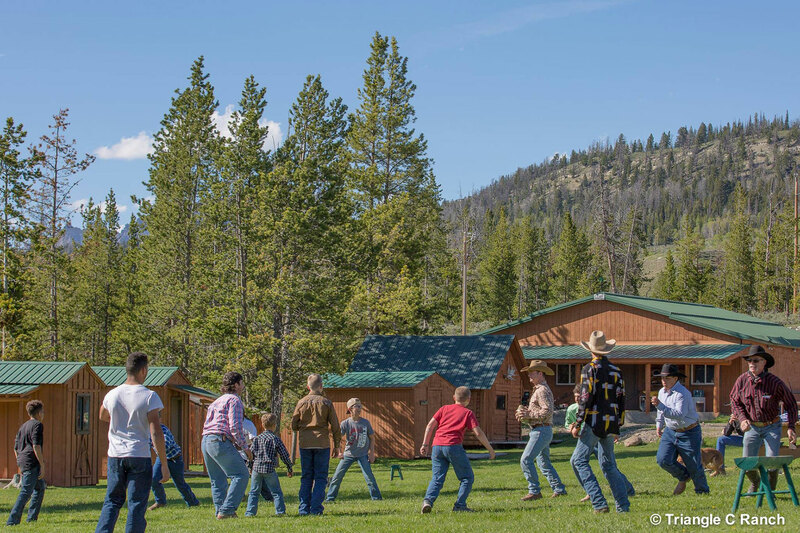 Back at the resort, kids may prefer the programs geared for ages 2 to 12, including nature-based crafts, sleeping in a tepee and learning the ropes in a junior wrangler program. In Texas, nothing is done small, and this 1,500-acre ranch in Hill Country is big on wide-open spaces. In operation since 1856, Wildcatter Ranch Resort & Spa’s history has been featured in “Lonesome Dove.” Of course, the ranch is all about horses and provides group and private rides for riders of various skill levels. Sticking with a Western theme, the resort offers horseshoes, enjoy wagon rides and watch Western flicks. Or, they can hunt for fossils, join a scavenger hunt, bike, hike and canoe. There’s no need for tents at Wildcatter. Sixteen luxurious suites that include stone fireplaces are available in its Cabin Suites, as are rooms aplenty in the ranch’s hotel. 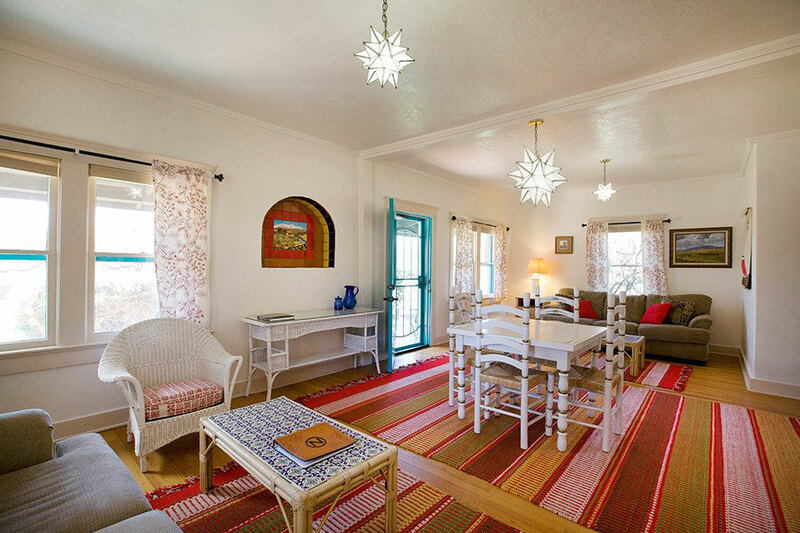 For a more unique experience, rent out the two-bedroom Homestead cottage, Wildcatter’s original ranch house, or O.T.’s Cabin, a two-bedroom, two-bath guesthouse with full kitchen, dining room and living room. Three Bars Guest Ranch, a family-owned and operated dude ranch, is located in British Columbia, just a stone’s throw from Montana and Banff National Park. Families will enjoy private cabins and daily meals in a communal setting, where guests enjoy week-long visits together and fast become friends before the trip comes to an end. Daily horseback rides for all levels are available, as well as guided and non-guided hikes, mountain biking, river rafting and more. Each night, guests gather for drinks and dinner with the staff and enjoy games and entertainment as the stars come out and bonfires glow. 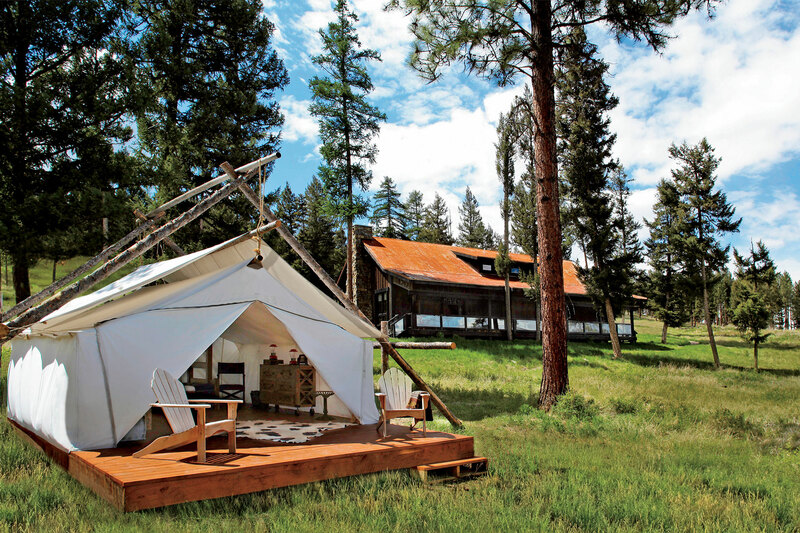 For a luxury dude ranch getaway, The Resort at Paws Up in Montana provides “camping” vacations in what Paws Up calls “glamping” (glamorous camping). Basically luxury hotel rooms under a tent, oversized tent accommodations come complete with beds, chairs, tables, trunks and drawers. Paws Up then provides wildness adventures on horseback, with kids’ activities that include wagon rides, pony rides and a “Kids Corps of Discovery” kids’ camp with programs for children ages 5 to 12. Less than two hours outside of Denver, Drowsy Water Ranch has been in business since the 1920’s. 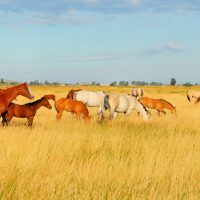 About 100 head of horses, primarily quarter horses and paints, make their home at the Drowsy Water. Nine individual cabins snuggled beside the creek offer lodging for families. The 700-acre Drowsy Water Ranch welcomes children of all ages, even infants. The children’s program is unstructured, but comprehensive. Children ages 5 and under in the Buckaroos program are led on smaller horses in a pen. 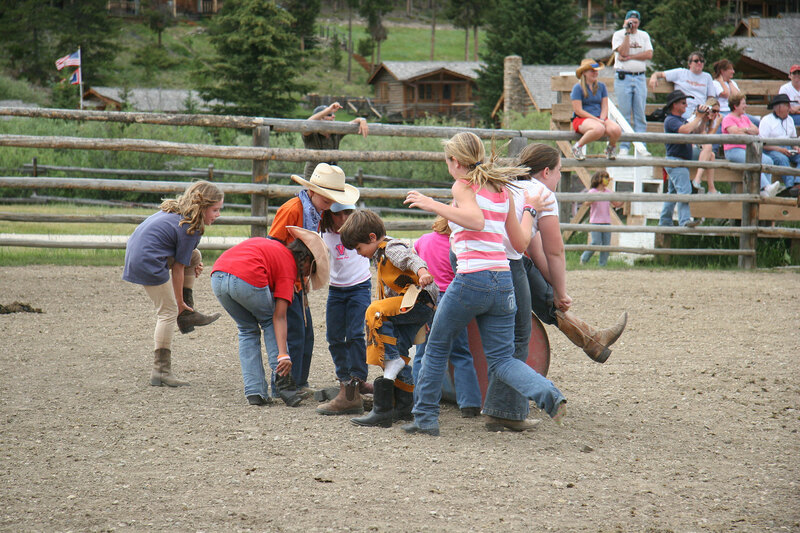 For children ages 6 to 13 in the Range Riders program, rides are held twice a day. The kids are allowed to walk, lope and trot according to trail conditions and their comfort level on the horses.